North Carolina real estate for sale by owner. Western North Carolina Mountain view home sites near Banner Elk, Avery County NC. 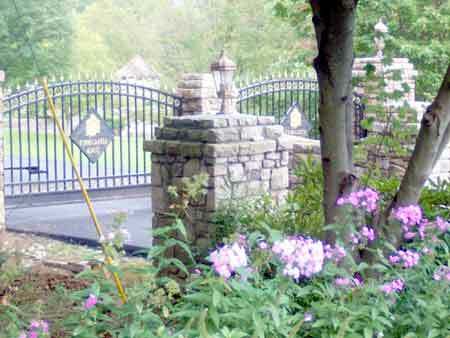 Gated community building lots, creek lots, mountain view homesites, pond lots near Beech, Sugar, Hawksnest and Appalachian Ski Resorts, Blue Ridge parkway, Grandfather mountain, Linville Falls and Linville Gorge N.C. This gorgeous 2.92 acre home lot is located in the prestigious gated Tynecastle community of Banner Elk, NC. Convenient to the main entrance of the development, the property faces Grandfather Mountain and is only minutes from shopping, skiing, walking trails and much, much more! For sale by Broker/owner. Call today for all the details! Located in the Mountains of Western North Carolina, Banner Elk is home to a bustling community thriving in High Country tourism activities such as skiing, golf, hiking, horseback riding, rafting, and fishing. With a number of fine accommodations to choose from as well as restaurants and unique shops, Banner Elk offers much for the seasonal vacationer and part-year resident. Year-round residents benefit from the growing popularity of the Western North Carolina Mountains and comprise the area's growing number of professionals, service personnel, and skilled trade people. Come visit Banner Elk... and who knows, you just might stay! Banner Elk is located in the heart of the Blue Ridge Mountains, in the Western North Carolina. It is 20 minutes away from Boone, and is surrounded by the towns of Sugar Mountain, Beech Mountain, Seven Devils and Hawk's Nest. There is a wide range of Bed and Breakfast Inns, hotels, vocational rental property and restaurants and bars in town. And just a few minutes away there are ski resorts, golf clubs, hiking trails, campgrounds and other possibilities for outdoor fun. In the winter Banner Elk is where people come to choose and cut their own Christmas tree and ski, and in the summer it is a perfect place for a family getaway which can be either quiet, peaceful, and relaxing or full of activity, fun, and adventure. Blue Ridge parkway, Grandfather mountain, Linville Falls and Linville Gorge are just a few of the scenic landmarks in the area. The attractions that are worth visiting are the Woolly Worm Festival that takes place in Banner Elk in October, and the summer theater, by the Lees-McRae College Performing Arts department. Lot for sale by owner near Beech, Sugar, Hawksnest and Appalachian Ski Resorts. For Sale by Owner Western North Carolina Mountain real estate near Lake Fontana, Santeetlah Lake NC and Asheville North Carolina acerage. For Sale by Owner real estate directory of Western North Carolina real estate listings, high elevation mountain view homes, lake view lots, lake view acres, log homes, cabins, homesites, home sites, land, lots, acreage, acerage, acres, acers, creek front, waterfall, lakefront homes, lakefront lots, lake view tracts, golf course lots, vacation rental chalet, retirement homes and investment properties. For sale by owner properties in Andrews, Asheville NC, Hendersonville NC, Cherokee, Murphy, Marble, Robbinsville NC, Hayesville, Brasstown, Franklin and Sparta NC. Real estate listings in Clay County, Cherokee County, Graham County, Henderson County, Swain County. 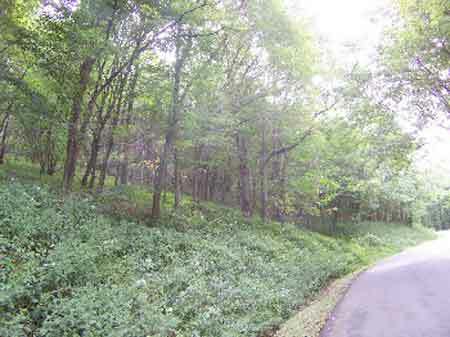 For sale by owner homes and lots on or close to Great Smoky Mountains National Park, Lake Nantahala, Hiawassee Lake, Lake Hiwassee, Fontana Lake, Lake Chatuge and Lake Lure, USFS, US Forest Service land, United States Forest Service, . Homes and land close to Nantahala Gorge, Nantahala Outdoor Center, Nantahala River rafting, Appalachian Trail, Apalachian Trail and the Great Smokey Mountains National Park. These real estate listings are not legally binding offers to sell. All information provided is deemed reliable but is not guaranteed and should be independently verified. The content of this site including the real estate therein advertised do not constitute, and may not be regarded as, an offer or solicitation to sell a service or product in any jurisdiction in which such an offer or solicitation is not lawful or is not authorized or to any person to whom it is unlawful to make such an offer or solicitation. your comments and suggestions for making the Appalachian Mountain Realty Guide your favorite Mountain Real Estate site. Bromont, Quebec, QC, Canada. Maison, chalet, condo a louer. Consulting Mechanical Engineer Atlanta GA.